Virtually Live Events: Grand Indeed! 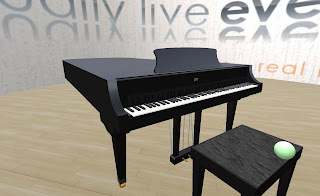 Digi has added another beautifully crafted instrument to Virtually Live's growing collection - a 241-prim grand piano. 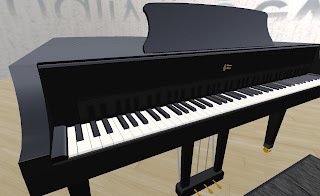 I have not seen a finer piano in any virtual world and my only regret is we cannot see inside this gorgeous build, which is a good argument for raising the link limit! Click on the photos to view the full-size images.